Over a decade ago Mi Esperanza was gifted a piece of property in Santa Ana, Honduras. The property was generously given for our development needs and for our dreams for the future. 25 kilometers from the capital city, Santa Ana is a sleepy and quite Pueblo that looks as if it stopped in time. The people are kind, ordinary, and like 85% of Honduras they are extremely poor. While lacking all the necessities of survival, education and employment are exceptionally scarce. And as we know with any extreme poverty issue women are the biggest demographic of those affected. Our dream has always been to bring hope to this area and its women. 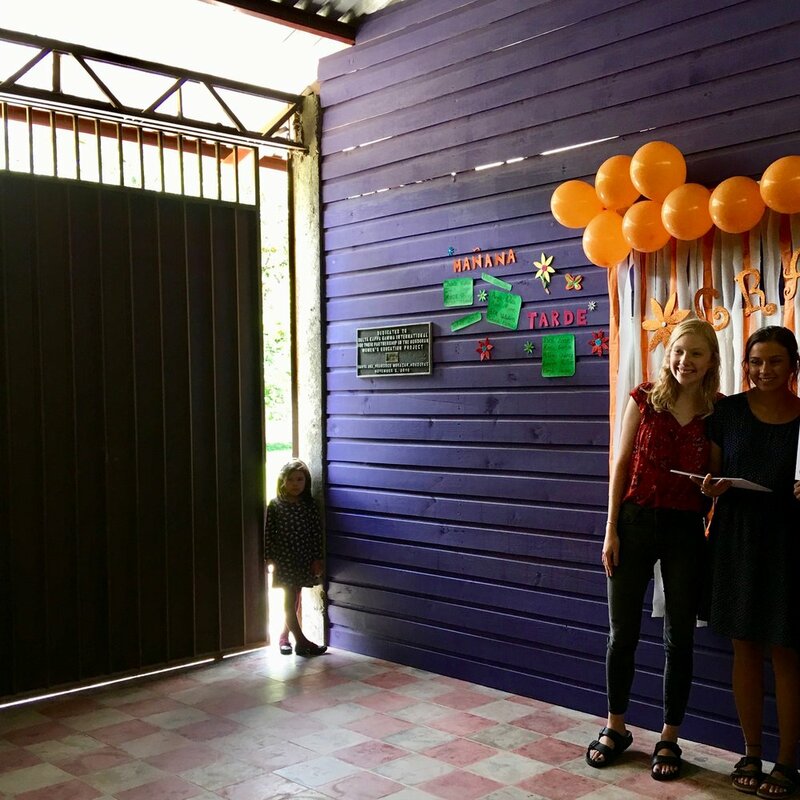 Although our classrooms on the property is still in the fundraising process, we do have a garage/classroom and we have been reaching out to the women in the area in this space. Over the years, in that garage, we have held sewing and jewelry training and also had the opportunity to bring production orders that have provided much needed work for women in Santa Ana. Over the years, one of the biggest requests of the women has been to bring our computer training to Santa Ana. a little girl watching the graduation ceremony of her mother. We have been praying for this opportunity and have been waiting on God’s timing. In the summer of 2017 we received a very generous donation to make this dream a reality. In the fall we began transforming our garage space into a computer lab. In January of this year the first classes began! Fast forward 6 months and on the 13th of July we celebrated our first graduating computer class in Santa Ana! 15 women who once only dreamed of such an opportunity received a diploma recognizing their dedication, hard work and knowledge. Many of the women spoke of gratitude for the opportunity and how they always dreamed of being able to learn how to use a computer. We learned about women who had traveled hours on foot and by bus and never missed a day. Not taking one day for granted. We saw daughters watching their mother’s and I watched their world view change at that moment. The ripple effects of HOPE are endless. We are constantly reminded we have an amazing tribe surrounding us, standing for hope together to bring meaningful and lifelong change to women living in extreme poverty. A tribe of women and men, young and old that make what we do everyday possible. We prayed, the women prayed and a donor prayed how she could impact the world through her blessings and each prayer answered each other. Isn’t God amazing?